Tough competition these days, getting the kids out of the house- to the great outdoors. Most kids’ bedrooms resemble hi-tech resorts: laptop with high speed internet, iPods with docking stations, 24/7 cell phone connectivity, and millions of YouTube ski and snowboard videos. Why would they leave their crib on weekends when the world and their friends are at their fingertips? “Because, Mom and Dad said so, that’s why.” That worked for my parents, but today’s catered-to kids need a more ambush approach. Drawing your kids away from their facebook and twitter to an actual ski place may require more than mom and dad’s mandate. Start by allowing, even encouraging, your kids to check out the ski resort website before your trip. Ski resorts spend serious dough to make a big splash online with fancy flash technology, video clips, and web cams positioned on terrain hits. These visuals should grab their attention and get them thinking about going live and in person to the snowy playgrounds versus the virtual experience. Excite them with an Olympian or X Game star sighting like Simon Dumont at Sunday River, Shawn White at Park City or Lindsey Vonn at Vail. You just never who will show on the slopes. Olympic Gold medalists Ross Powers, Lindsey Jacobellis and Kelly Clark make appearances at southern Vermont resorts Stratton, Mount Snow and Okemo. Seth Wescott rides regularly at Sugarloaf, and Bode Miller graces the Granite State slopes of Cannon. Convince your kids that “couch surfing” is passé, so last minute – and snow surfing is cooler, whether on one plank or two. Shawn White and Tanner Hall did not get discovered in the confines of their closet, you have to get outside to be cool in winter. Remind your kids that childhood obesity, while on the rise, is not the rage. Skiing and snowboarding burns a ton of fat and calories – about 500 an hour compared to 50 playing unhealthy Halo on the couch. Tell your teenage boy that snow bunny hunting on the slopes is far more interesting than playing another version of Deer Hunter. With a little on snow practice, you can be a terrain park hero rather than a “guitar hero” zero. Remind your offspring that the video games will still be there when they get home, but the on-snow show only takes place for a few winter months. Point out that skiing or snowboarding with friends is far more fun than flicking inane comments back and forth on facebook. Imagine launching jumps, laughing, and learning a new sport with your buddies. And you can have real time conversations on the five minute chairlift rides. What a social networking concept! Don’t be above bribery for skiing. My husband and I have stooped to promising a “drive thru for doughnuts” to get the gang in the car on Saturday morning. Nothing says “let’s go skiing” to a fashion conscience teen like a new ski or snowboard outfit – so let them pick a parka and pants that they’re passionate about. Our daughter gets stoked about sporting new threads each season. If all else fails to pique their interest in a trip to the peaks, tell them they can “chill” in the lodge where there’s WiFi. True enough, you can get wireless with a view of the slopes at many base lodges. 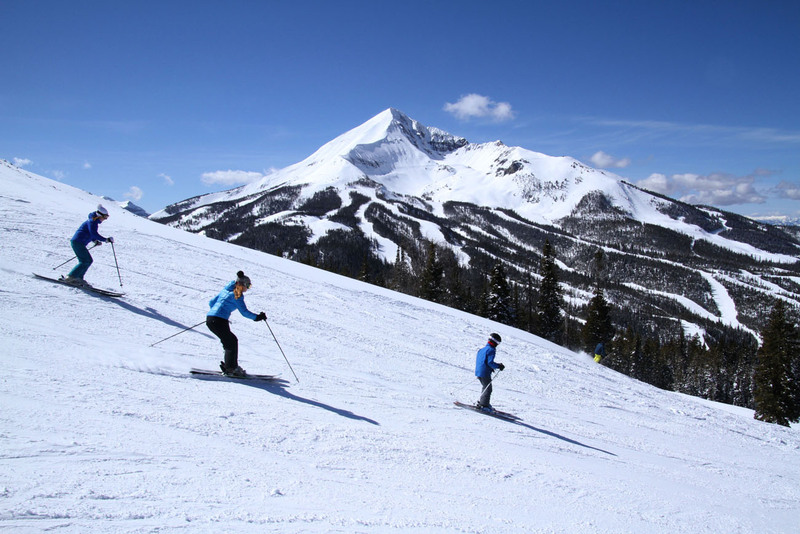 Hopefully once seated in the crowded base lodge, your teen will find the temptation to get out on skis or a snowboard is stronger than the internet signal.